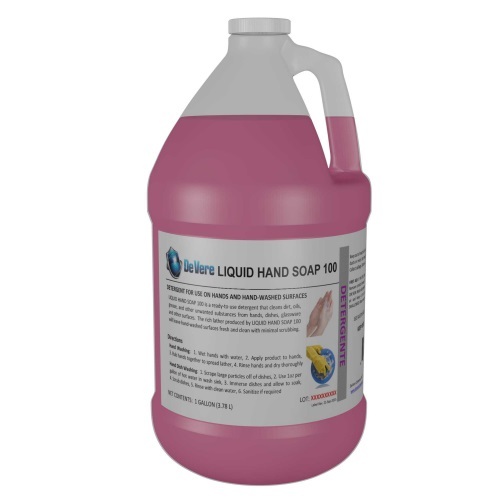 See our full line of foam soaps now! 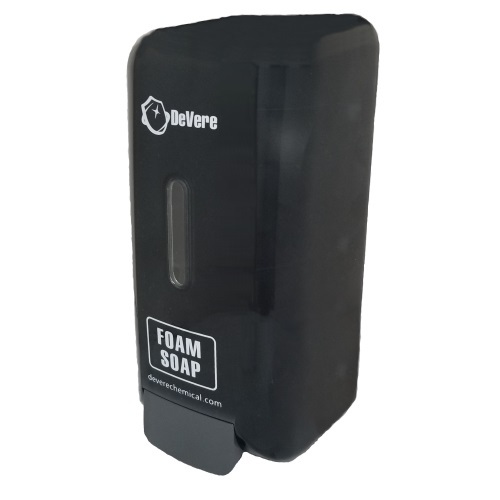 Foam Soap Cartridge Dispenser is a reflective black dispenser with a small, transparent section on the front of the dispenser to see soap levels. 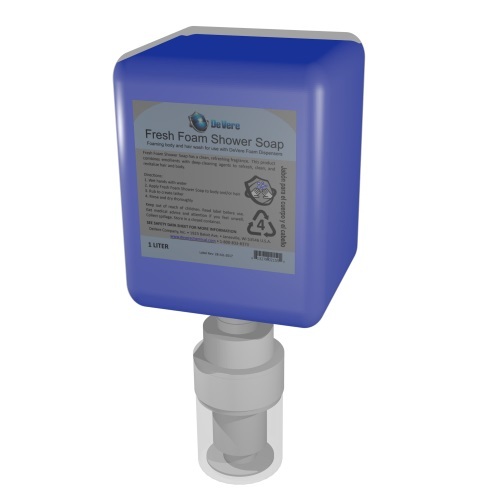 This dispenser only works with DeVere’s foam soap cartridges available in 1 x 1-liter cases of Fresh Foam Hand Soap, Fresh Foam Shower Soap, and Fresh Foam Disinfectant Soap. This dispenser is easily mountable and gives a clean, professional look in bathrooms, kitchens or anywhere else where cleanliness is a priority. 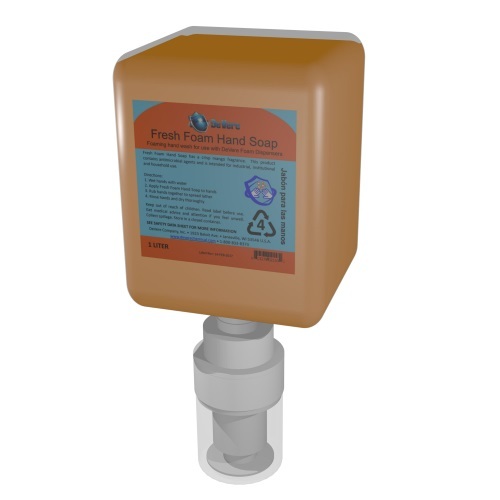 Controlled dispensing delivers the perfect amount of foam soap for one hand wash each time. 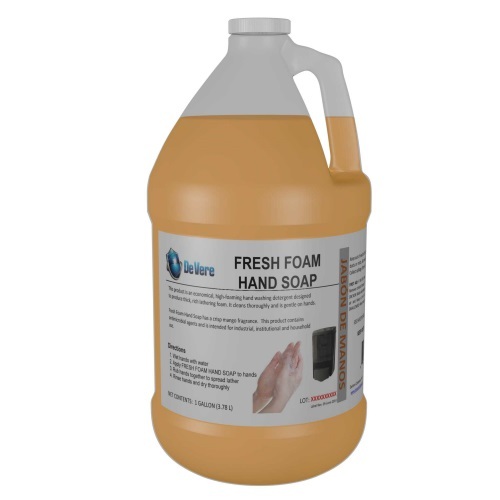 This foam soap cartridge dispenser contains an easily refillable and removable container for the soap and works best with Fresh Foam Hand Soap, Fresh Foam Shower Soap, and Fresh Foam Disinfectant Soap cartridges. This dispenser does not work with a free-pour system. It only fits DeVere’s foam soap cartridges. 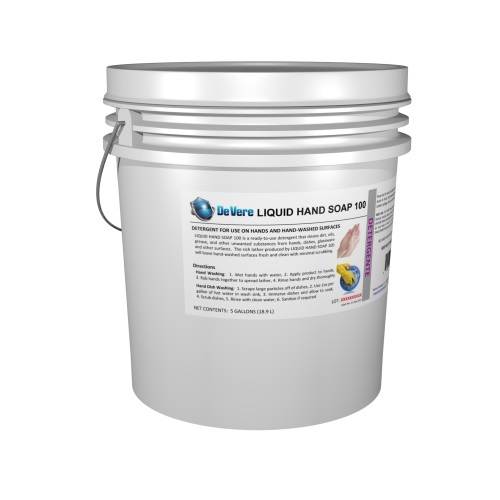 Today, we formulate, produce, and stock custom-blended cleaning chemicals for a global customer base. 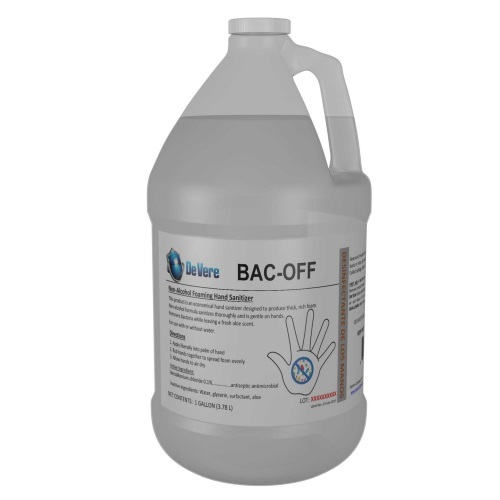 We utilize the latest computer, blending and filling systems to make products efficiently and with a focus on safety and the environment. 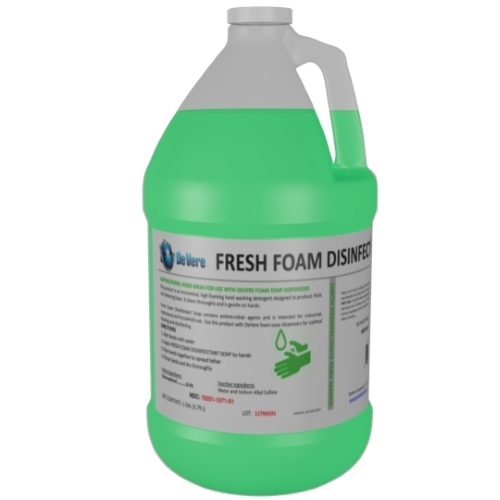 Our employees average over 20-years of industry experience and can solve any cleaning problem. Copyright 2018 - DeVere Company - All Rights Reserved.